Authors: Romao, M.J., Turk, D., Gomis-Ruth, F.-Z., Huber, R., Schumacher, G., Mollering, H., Russmann, L.
Cite: Crystal structure analysis, refinement and enzymatic reaction mechanism of N-carbamoylsarcosine amidohydrolase from Arthrobacter sp. 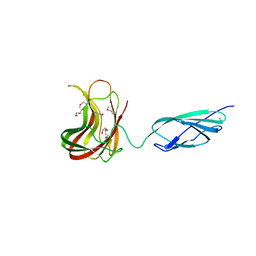 at 2.0 A resolution. 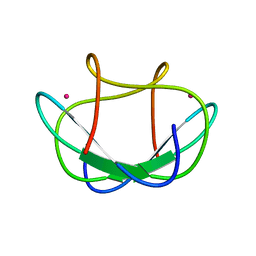 Authors: Mukhopadhyay, A., Silva, T.S., Romao, M.J., Romao, C.C. 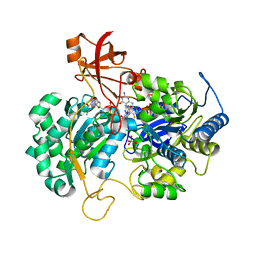 Cite: Characterization of a Versatile Organometallic Pro-Drug (Corm) for Experimental Co Based Therapeutics. 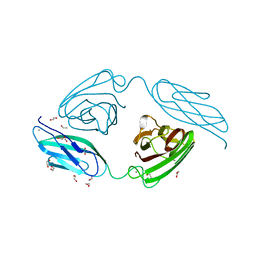 Authors: Santos, M.F.A., Mukhopadhyay, A., Romao, M.J., Romao, C.C., Santos-Silva, T.
Cite: A Contribution to the Rational Design of Ru(Co)3Cl2L Complexes for in Vivo Delivery of Co. 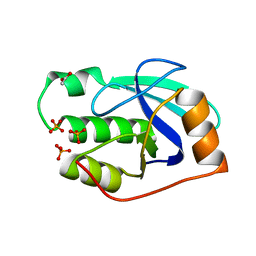 Authors: Santos-Silva, T., Mukhopadhyay, A., Romao, M.J. 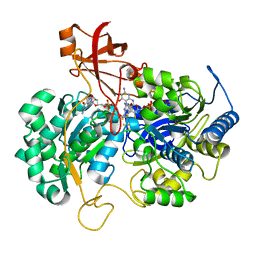 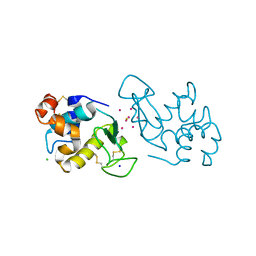 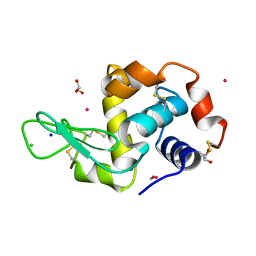 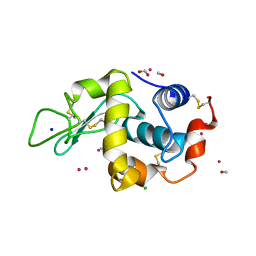 Cite: Corm-3 Reactivity Toward Proteins: The Crystal Structure of a Ru(II) Dicarbonyl-Lysozyme Complex. Authors: Najmudin, S., Pinheiro, B.A., Romao, M.J., Prates, J.A.M., Fontes, C.M.G.A. 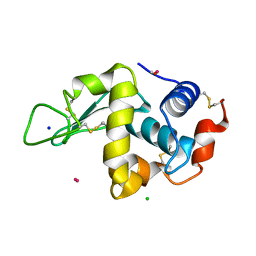 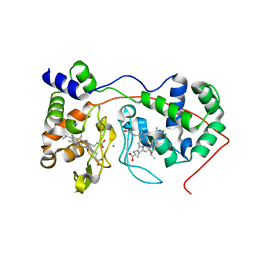 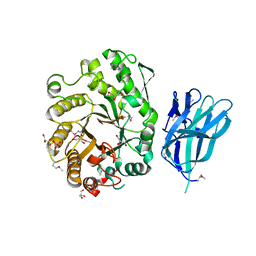 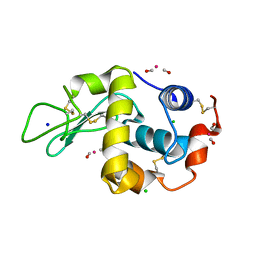 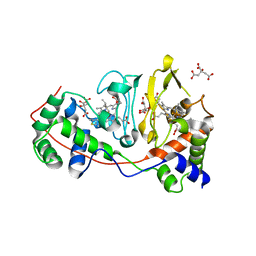 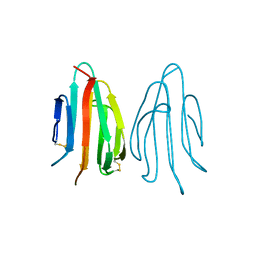 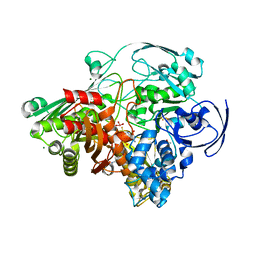 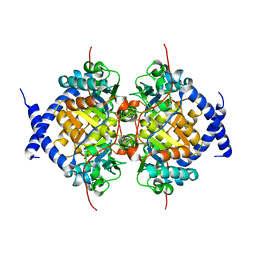 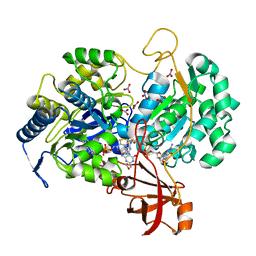 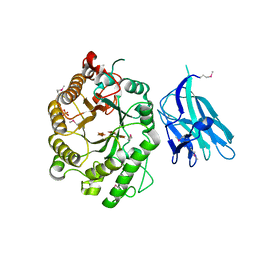 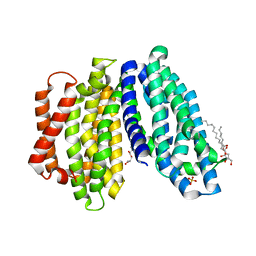 Cite: Putting an N-Terminal End to the Clostridium Thermocellum Xylanase Xyn10B Story: Crystal Structure of the Cbm22-1-Gh10 Modules Complexed with Xylohexaose.